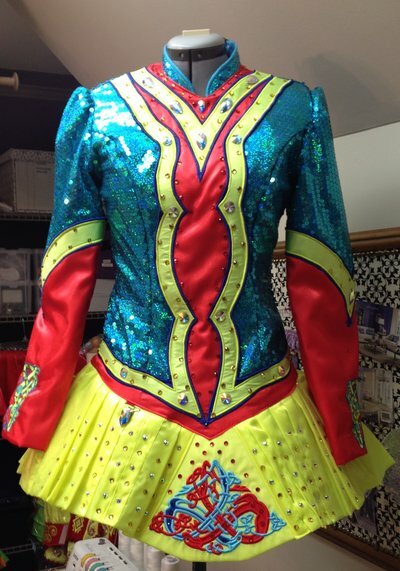 Stunning turquoise sequin “jacket-style” dress with red and yellow twinkle satin. Amazing on stage – this dress has a unique color combination. Please email any questions. Included are kick pants and cape.